Following the last week post with the portuguese "Maria" single, here it is another unique single, this time released in Mexico. 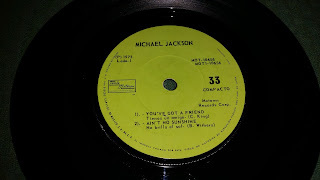 This is a 4 tracks E.P. 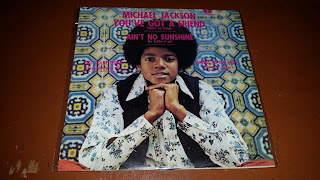 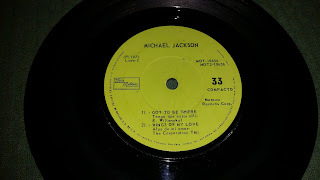 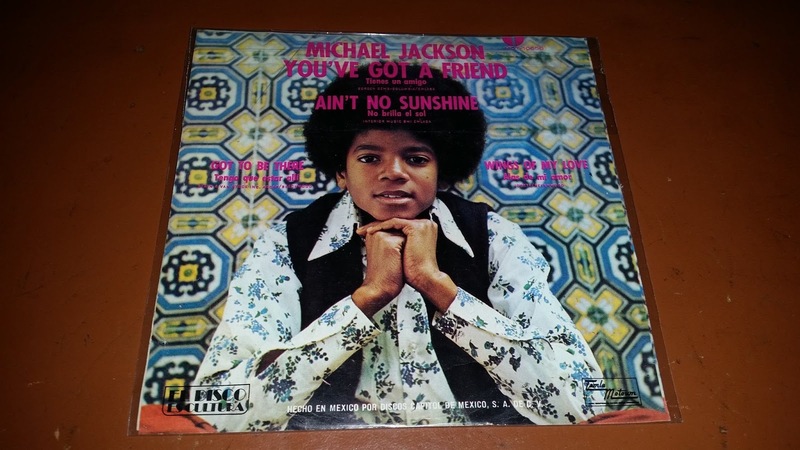 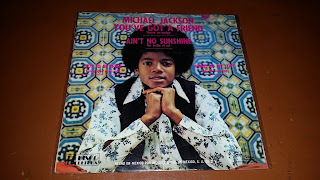 including "You've got a friend" and "Ain't no sunshine" on the A-Side, and once again "Got to be there" is placed on the flip-side with "Wings of my love". 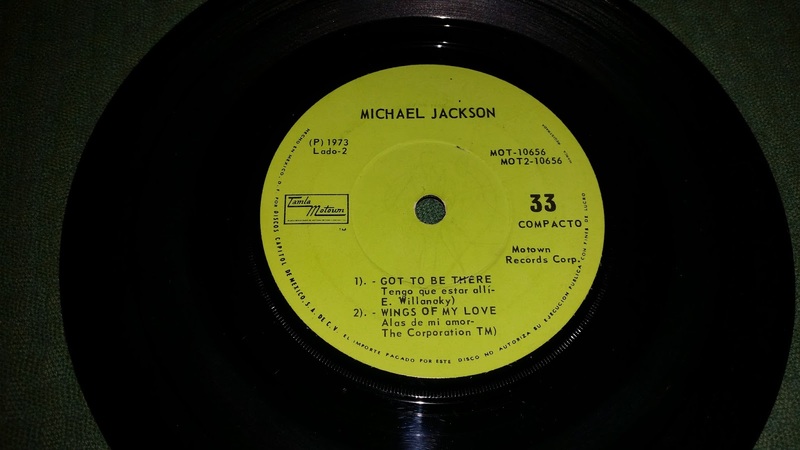 The picture sleeve is similar to another spanish release (Rockin'Robin), but with several variants, while the greenish labels are a classic clue to identify a Motown mexican single.